1) The top 50 ONG trading volume accounts will share a total of 25,000 ONG. The trading volume will be calculated by the following formula: (Purchase Amount + Sold Amount) x (Time Factor). Trades between the same accounts will be excluded. The time factor will decline linearly from 1.5 to 1.0 throughout the competition. 2) Due to the difference in trading fees (according to the VIP level), the trading volume will be multiplied by the following formula to keep the competition fair: (Actual Trading Fee/ Trading Fee of VIP-10). 3) Due to the difference in trading fees (according to the referral scheme), the trading volume will be normalized to keep the competition fair. 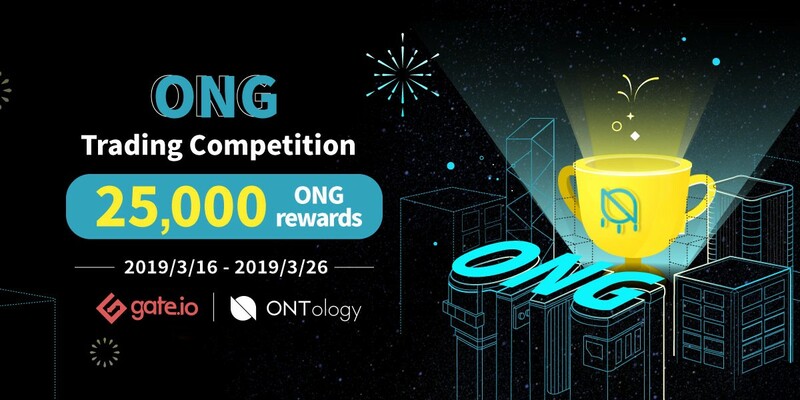 (4) 4th-50th prize: share 13,000 ONG based on their ONG trading volume. 3. The trading competition is limited to spot trading and spot margin trading only. Thanks to the Ontology(ONT) team for their support!